Good afternoon, I am attaching pictures of my problem that has several parts to ensure knowledge, but I am stuck on the last part. 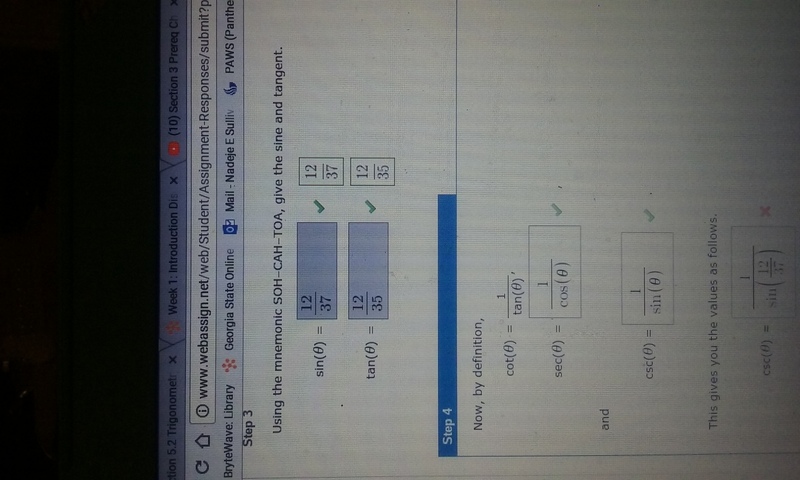 I was on a roll, but got my last problems wrong. Am I missing something simple or have I done it wrong entirely? Thank you for your help! Sept. 1, 2017, 4:24 p.m. The CSC is just the SIN flipped. So you literally just flip your answer for SIN. The same holds true for TAN/COT and COS/SEC. Oh of course! Now I see it! Thank you, Theo!